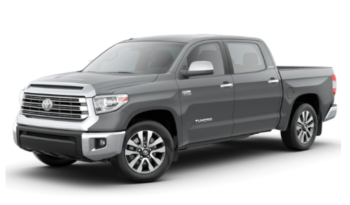 When you find yourself in need of a truck to transport your woodworking projects, have you considered taking a closer look at the 2019 Toyota Tundra? Easily customizable to fit your needs, this truck offers plenty of options, style, and an impressive towing capacity. Whether you’re using your truck for work in the Avon area or you’re taking the family out for a day in Indianapolis or Plainfield, the Tundra fits the bill. At Andy Mohr Toyota, we have dozens of the different Tundra models on our lot, so you’ll have plenty of options. In addition, you’ll come to us well prepared after perusing this handy guide that outlines your new truck easily and effectively, all in one place. Get the details you want and then come see us. Part of owning a car is being able to ensure that it expresses who we are. When you’re trying to communicate that you’re a working person who likes a little bit of luxury with the hard work, then it’s easy to select the Tundra Platinum or Limited models to convey that perfectly. However, if you know you need your truck for some hard work and heavy hauling, you can pick by the model and trim level the drivetrain level you’ll need, what size engine suits your purposes, and whether you’ll be using a crew in your day-to-day transportation in this vehicle. The Tundra makes it possible to make your truck work for your needs. If you’re using your truck for work, you’ll likely know what you’re going to be doing on a regular basis, which will help you select the ideal bed length for your vehicle. For example, if you know you’re going to be packing 8-foot sheets of drywall into the bed, you’ll likely want to go with the longest option. However, if you intend to use your truck for more fun purposes and the only action the bed will see is the occasional grocery trip and huge TV purchase, then you’ll be able to select your bed length based on what you want, rather than what you need. Whether you need a truck or if you just want a truck, we’re here to help at Andy Mohr Toyota. 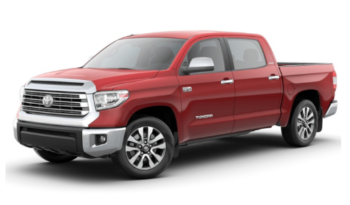 We welcome all of our customers from the Indianapolis, Avon, and Plainfield areas to come down and see what we have to offer with our complete 2019 Tundra stock. We’re sure you’ll be satisfied with our impressive selection, so come test drive your Tundra today.